Part of taking care of your home includes finding the right New Rochelle HVAC contractor to address your need for professional service. The good news is that by working with Nu-Way Air Conditioning & Heating you can rest assured that you get the best quality service possible. We stand by the saying, “Fixed Right or its Free” and are ready, willing and eager to show you how dedicated we are to each and every one of our customers. We look forward to working with you and helping you get the service you need. How much do you really think about your heating – until something goes wrong? You always expect it to b there, especially when you need it the most. 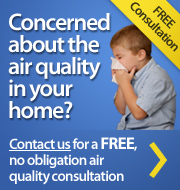 So if the cold winter air has moved in and you find that your heater isn't up for the job, it is time to give us a call. We will be there for you 24 hours a day, 7 days a week and 365 days a year. So it only makes sense that you should feel the same about your air conditioner once the summer heat moves in. 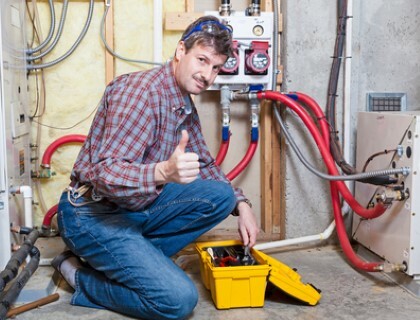 You have to be sure that you have reputable experts working with you in order to take care of your service needs. Don't make your family suffer through the dog days of summer without the relief of sweet air conditioned air. Let our team of trained, skilled and experienced pros take care of whatever services you may need completed. The only other task that you should be concerned with is making sure that your indoor air quality service is taken care of. If you truly care about yourself and your loved ones then you want to know that you are all breathing in the best quality air possible. The only way to make this possible is to call on the pros here to take care of this for you. Don't keep putting off until tomorrow what we could be taking care of for you today. By working with the Nu-Way Air Conditioning & Heating crew, you can feel confident that you are getting the best service there is around. When it comes to this and all of your New Rochelle HVAC service needs, let us show you what a difference true quality makes. We look forward to working with you and helping you get the level of care your should be able to expect. If you are ready to begin, all of you have to do is give us a call right now. If you're looking for a New Rochelle HVAC contractor, then give us a call today at 914.777.5030 or complete our online request form.